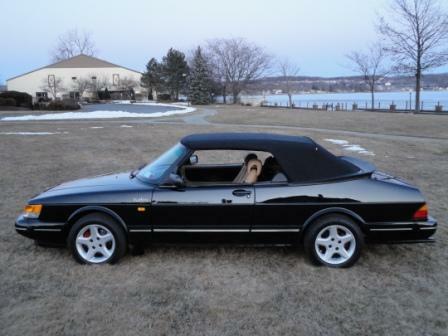 Saab convertibles started arriving in the U.S. in 1986 and sold in limited numbers. Since these original “Classic 900” models are disappearing from American roads and Saab’s 64 year history as a Swedish automaker ended in 2011, I believe in keeping the Saab heritage alive at auto shows. 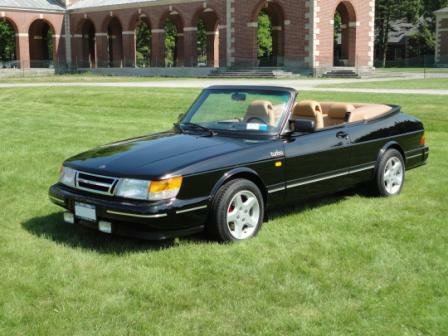 I became part of the “Saab experience” when I worked with the legendary American Saab executive, Bob Sinclair, who was responsible for creating the 900 convertible when he was President of Saab Cars U.S.A. Distinctive Saab safety features include an aircraft-inspired cockpit, deeply curved windshield and an ignition switch located on the floor. The 1989 model cost $32,095 new and was the first year to incorporate ABS, and the last one built without airbags. The Saab is powered by a 160HP turbocharged and intercooled 2 liter engine. My 5-year “rolling restoration” was completed in 2011. This included a meticulously detailed engine bay, new top, leather interior, carpeting, and premium wheels. 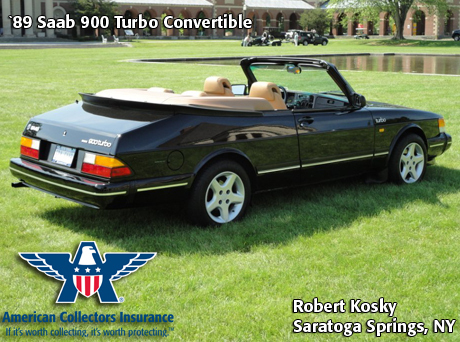 I am proud of the fact that this 169,100 mile car has been a prize winner at both regional and national shows, including Hemmings 2010 Sports & Exotic Car Show (Saratoga, NY) and the 2011 Saab Club of North America Car Show (Parsippany, NJ). It has received 21 other awards, including “First in Class”, “European Show Winner”, “First Place Car”, “Top Import” and “Best Engine”. I was also honored to have the Saab’s photo appear in the November, 2010 issue of Hemmings Sports & Exotic Car.